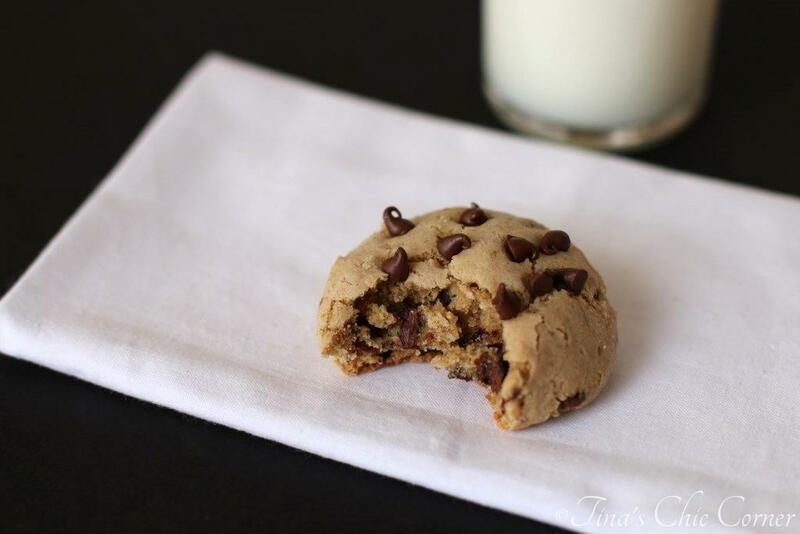 Another chocolate chip cookie recipe? Yes, I’ve gone there (and I’m sure this won’t be the last time). Would you believe that this is a healthier version though? A few weeks ago, I challenged myself to learn more about healthy baking and to try healthier dessert recipes (a personal goal for improvement, so to speak). That might mean one new recipe or 100, only time will tell. I still must remain true to myself and let’s face it… I’ll be where the chocolate is. 😉 I began racking my brain to try to come up with a new recipe, but with no luck. I wanted to give up on my quest. These chocolate chip cookies are made with date puree and browned butter to replace some of the missing fat and sugar. They are still as tasty and as chewy as the original real deal! 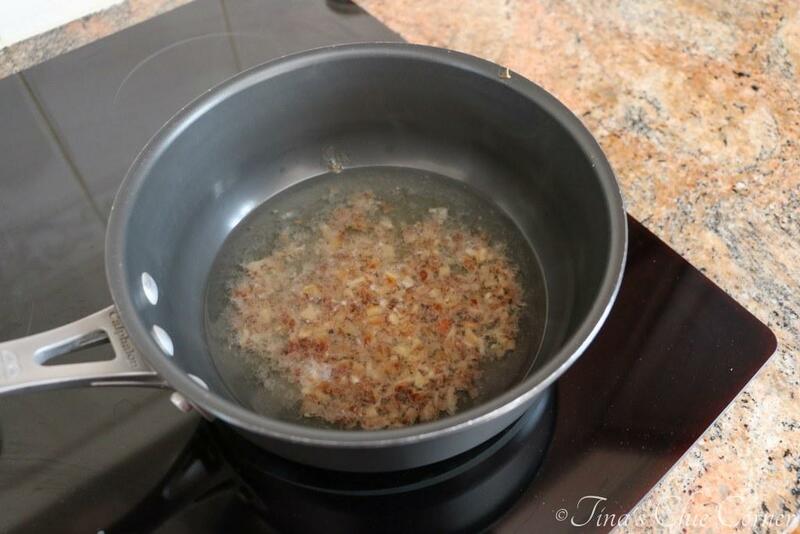 In a medium saucepan, over Medium/High heat, bring the water and finely chopped dates to a boil. Then reduce the heat and simmer until most of the water has evaporated (about 20 minutes). Mash the dates through a fine mesh strainer into a small bowl, and then scrape the remaining bits from the strainer into the same bowl. (I found a rubber spatula best for this.) 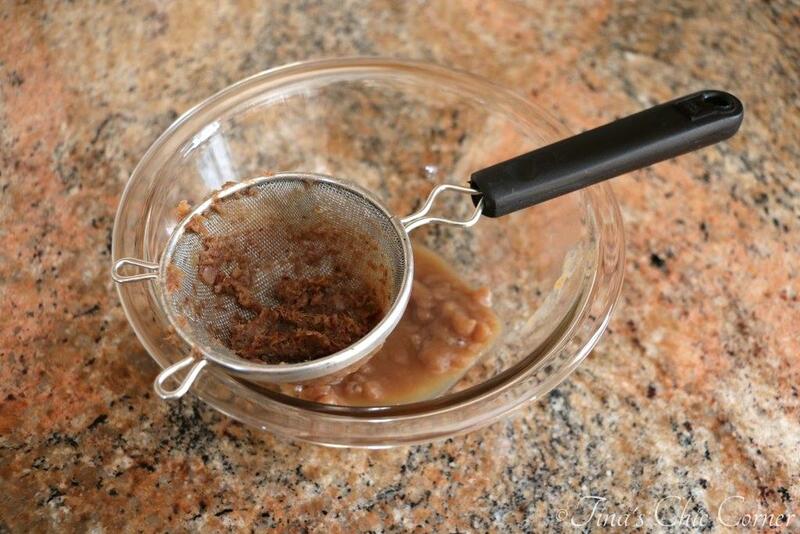 Stir the date mixture until it has a consistent texture. In a small saucepan or skillet, over Medium heat, cook the butter until it’s browned (about 4 to 8 minutes). Let it cool. 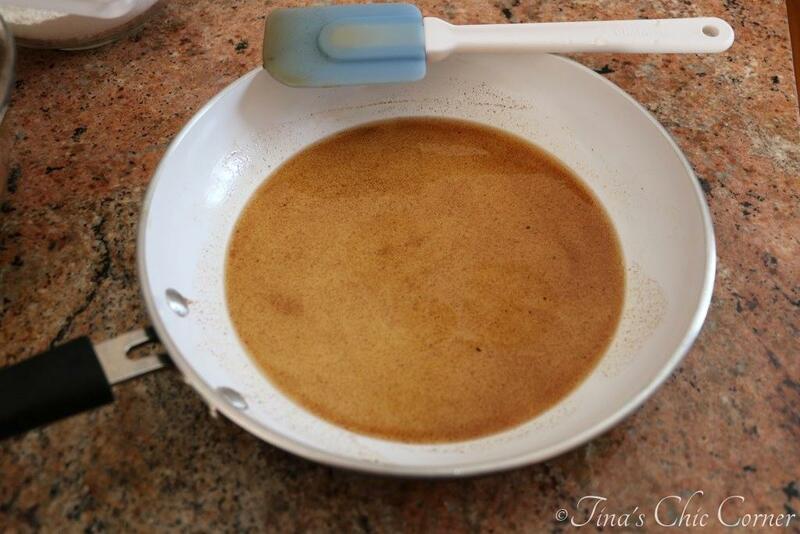 In a large bowl, cream the browned butter, date puree, and light brown sugar. Gradually add the dry ingredients into the wet ingredients. 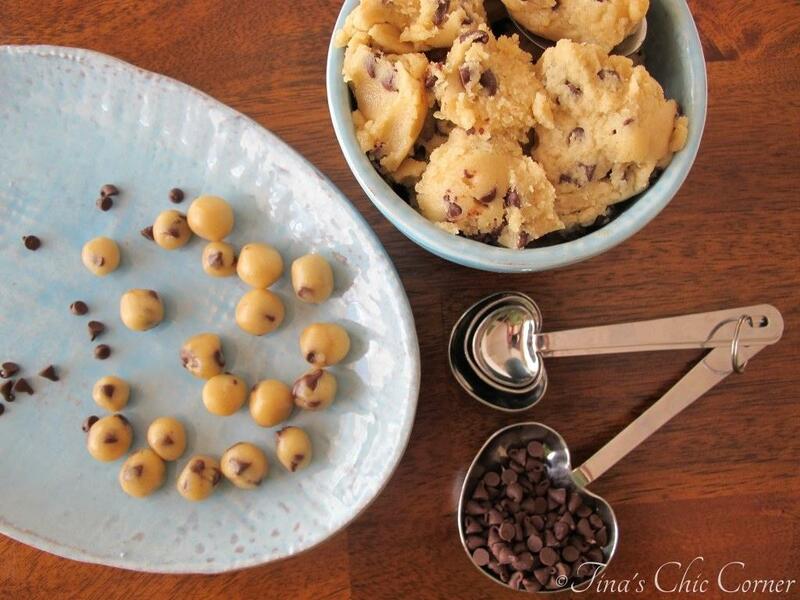 Reserve 2 tablespoons of the miniature chocolate chips and gently stir the remaining into the batter. Scoop about 2 tablespoons of dough into balls and flatten them a bit. Press a few of the miniature chocolate chips on top of each cookie. 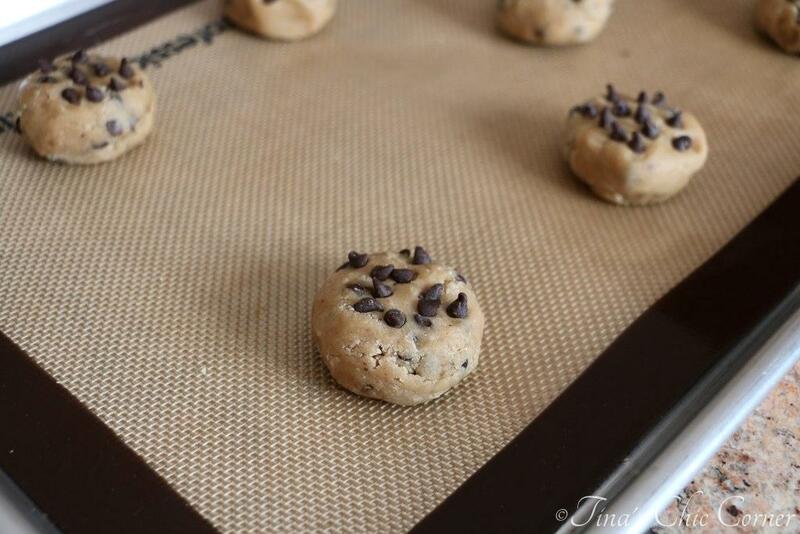 Bake the cookies in the preheated oven for about 18 minutes or until the edges are set. Note that the center will be soft but it will firm up once it’s cooled. It’s important not to over bake them otherwise they will come out hard and tough. Store them in an air tight container or in a freezer friendly bag in the freezer. The secret ingredient is… dates! I feel like the chairman from Iron Chef America. 😉 Well, technically you have to turn them into a date puree first, but it is an awesome substitute for butter. I promise you that you do not taste dates in these cookies, at all. I told my sister about my new found phenomenon and she said something to the effect of, “That sounds like a lot of work. Can I buy pre-made date puree?” Think of it this way, if you chill your cookie dough, then you’re not investing any more time with this recipe because making the date puree actually takes less time than the chilling process would. If you don’t chill your cookie dough, then yes, this is more time consuming, but once you see how much fat you get to remove and how many calories you’re saving (see grid below) you may find it worth your time. Make sure you pack the flour when you measure it. I hate saying that because in general it’s not the correct way to measure flour. However, that’s what this recipe called for and I’m honoring it. 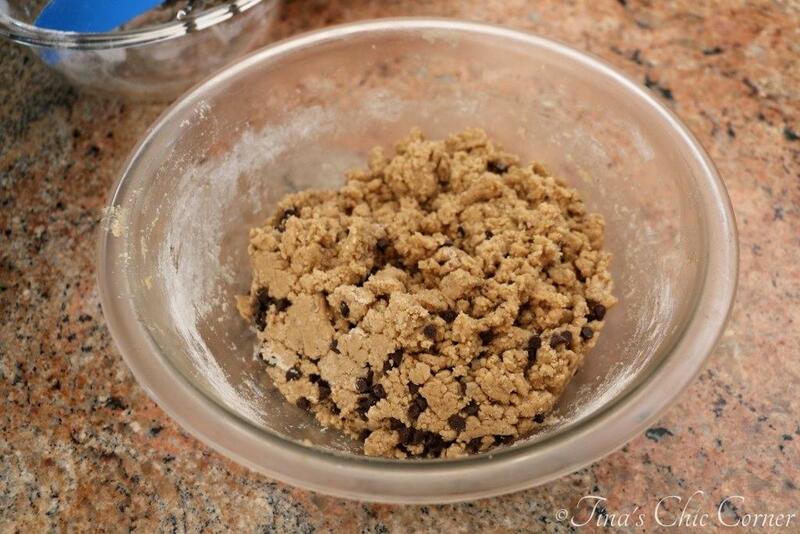 The cookie dough will be a tad crumbly but it will hold its form when you press it together. I used miniature chocolate chips so that the chocolate flavors are scattered more evenly in each cookie. You won’t even notice that there are fewer chocolate pieces. This recipe is loosely based on the Nestle Toll House recipe but with over three quarters of the butter removed. Try to imagine that for a moment. How on Earth would you ever be able to compensate for that much removed fat? Well, I have to say that while I didn’t really expect it to work, some how the dates filled that void. It’s not exactly right if you think you will be eating a greasy delicious cookie, but I found these to be fantastic in their own way. I ate three or four cookies during my photo shoot. I don’t usually make a habit of that because I’d need to live in my sweat pants if that were the case. I had my doubts that this recipe would produce such a tasty cookie, but the fact that I kept eating them proves it did. As an experiment, my handy dandy husband made the below grid to compare some of the ingredient changes between this recipe and the Nestle Toll House chocolate chip cookie recipe. It was quite the eye opener for us. I’ll let the facts speak for themselves. 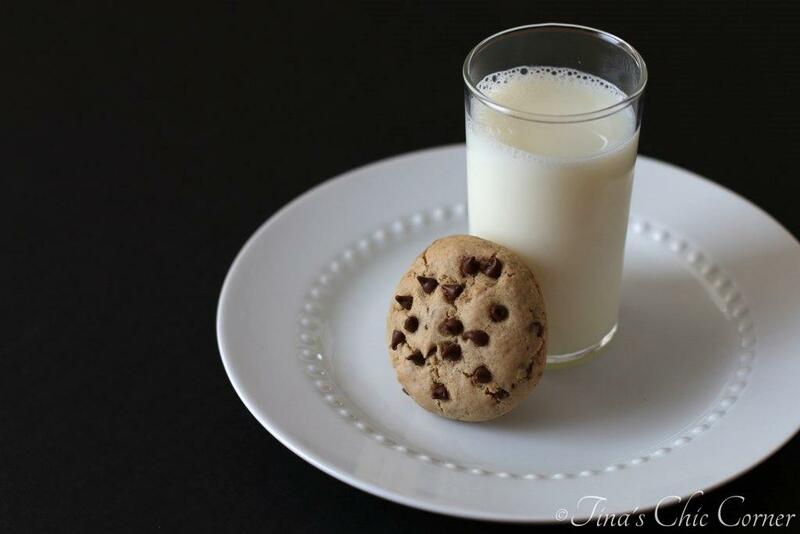 Here are some of my other favorite chocolate chip recipes. Love these cookies, Tina! I use dates in a lot of things, but I never thought to put them in my CC cookies! ONLY THREE TABLESPOONS OF BUTTER?!? You are amazing girl! 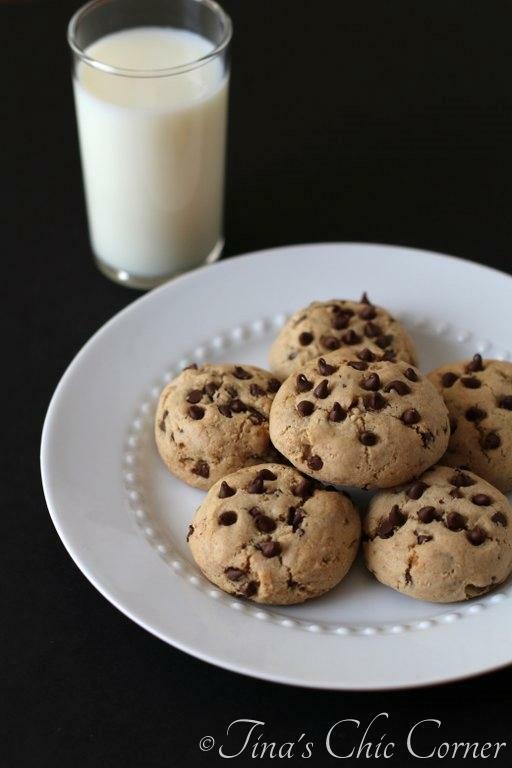 I love making lightened up and healthier cookies, and these sound awesome. T!!!!! Thank you SO much for linking up! I am a) so excited at how amazing and HEALTHY these look and sound and b) am so impressed with you for stepping out of your comfort zone. 2014 has been is my year for trying new things and changing it up. While you know I LOVE all of your delicious recipes it’s fun to see you try something new. You girl are my heroin. I can’t get over how magnificent these cookies look and how lighter you made them without sacrificing any of the flavor. 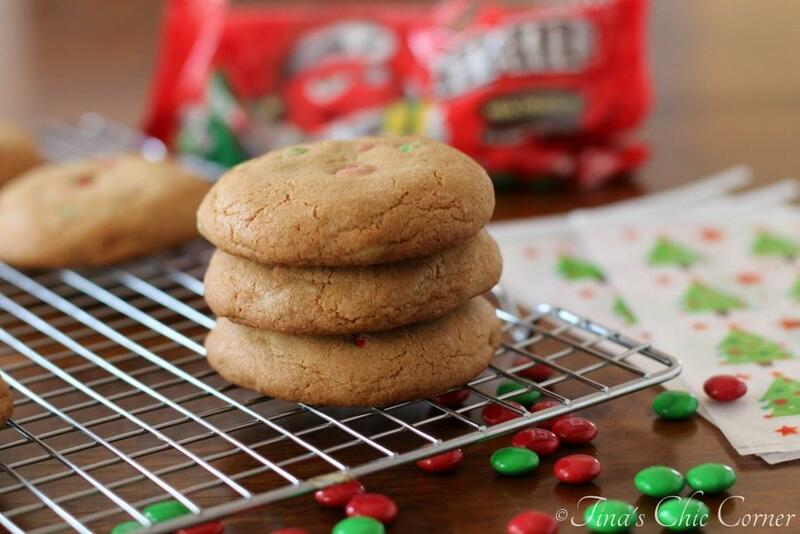 I really love these cookies and I cannot wait to give them a go (more like three go’s, actually!). Tina, I think you have a winner of a recipe here and I like the lighter version! Wow now I can see what that extra cup of chocolate chips really means! These look really delicious 🙂 Can’t wait to try them! 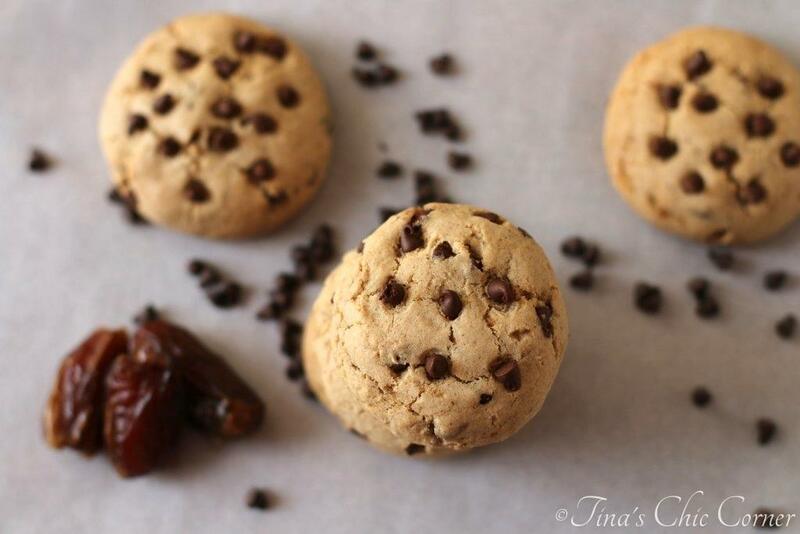 These look amazing and love the idea of using date puree. They are so pretty almost just perfect with those little mini chocolate chips. Can you send some to Hong Kong? Pinning this recipe..! These look really good!! I’ve also been trying to do a little bit more healthy type baking … I still feel like I need a post-holidays detox haha. I love that you used dates in these! I’ve only used dates for no-bake recipes – I need to give these a try! 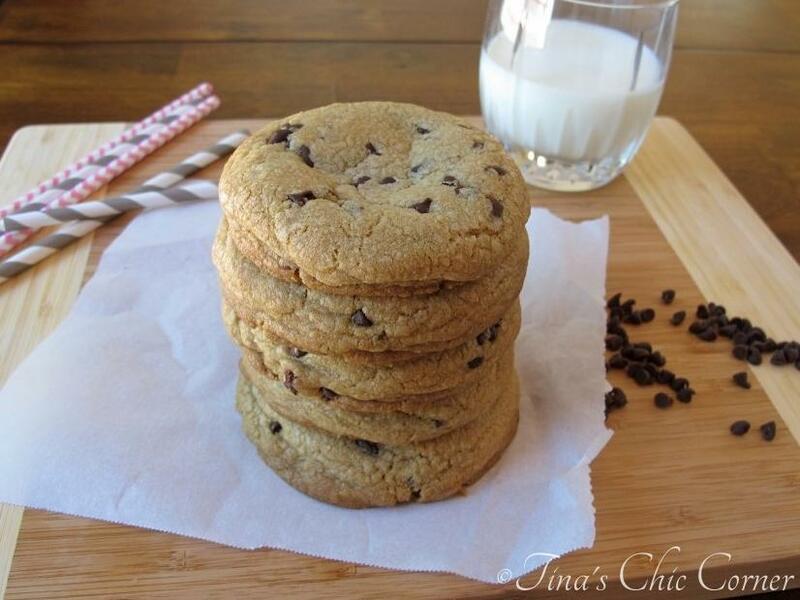 You can never have too many chocolate chip cookie recipes. And especially not healthy ones. Would have never guessed there were dates in here! They look SO good! Wow, what a fun experiment…and impressive with how much “bad stuff” you were able to cut out. The pictures are incredible, too!! 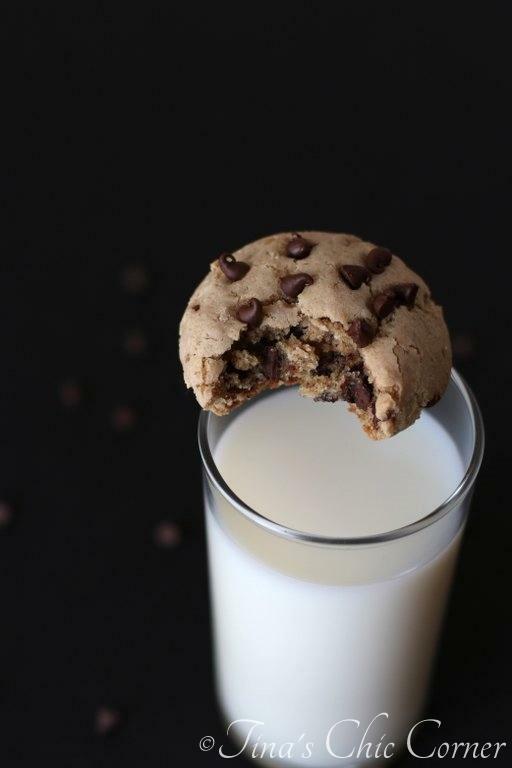 You can post about chocolate chips cookie all day long… I love it! I found this to be really interesting with the comparison. The texture on these cookies look the best! Looks delicious! I love that it’s so light and still looks good Tina!! Good job!!! great recipe! i like how puffy they are! Yummy! I love how light and airy these look! !